Light Continental Breakfast, Lunch and Beverage Break. To ensure a good learning experience for everyone, we have limited the track size. If you find your track is closed, we want to assure you that choosing an alternate track will not diminish your learning experience. PEF and State CSEA members – Labor management funds for registration fees have been secured for PEF and State CSEA members. You must follow specific instructions before registering. Instructions and forms are available under 11th Annual Safe Patient Handling Conference tab above. 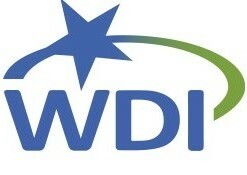 Go to scholarship Information - WDI, PEF and CSEA submenu. DO NOT REGISTER AND PAY FOR YOURSELF IF YOU PLAN TO USE NEGOTIATED FUNDS. THERE WILL BE NO REFUNDS. Registrations received by February 25th are $175 per person. Registration received after February 25th are $225 per person. Registration may be completed and purchased on line here or by mail. You may pay by check or money order, or credit card (online only). Make checks payable to AREEP. Note: Registration fees are Non-Refundable but a coworker may take your place, using the transfer process on Zippyreg. If you were given a code to register you must do so on line. Every registrant must register for a specific track. There are a limited number of slots for each track to maximize individual learning.